We took a short side trip yesterday as we continued across Arizona. 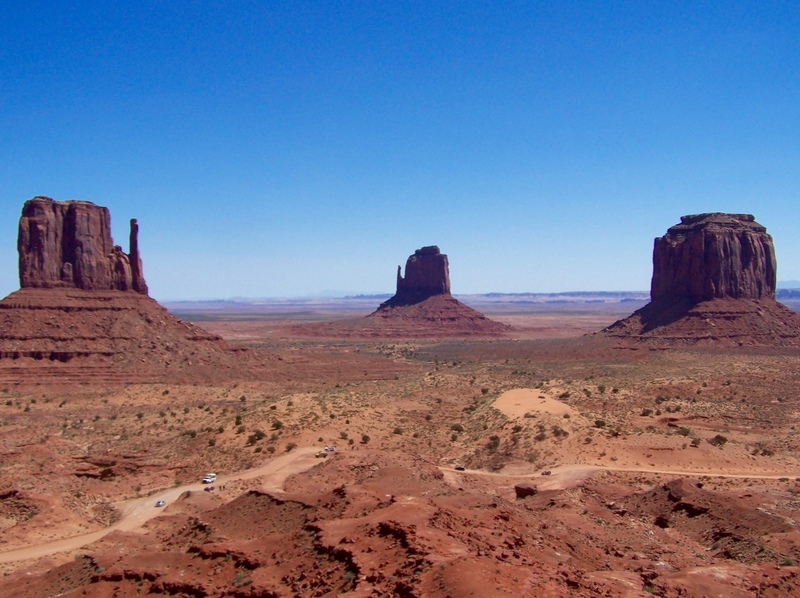 Anyone who has ever watched a western will recognize the soaring buttes and mesas of Monument Valley. This landscape has provided a backdrop for movies, TV shows and commercials since the 1930s. The formations all have names. These are Left Mitten, Right Mitten and Merrick Butte. The valley is situated on Navajo Reservation land so access is somewhat limited. For a fee, there is a 17-mile drive along a dirt road that will get you a view from down below. Navajo guides are also available for tours. Personally, I think horseback would be the way to explore! We say goodbye to Monument Valley and head east.